Happy Friday, everybody! The weather has finally taken a turn for the better here in the Midwest – we experienced near 60-degree weather all week, and it was glorious. I definitely am soaking up all the sun I possibly can before the temperatures drop back down into the 40s next week. The hubby’s 25th birthday is this weekend, so we have a jam-packed weekend of activities, which kicks off tonight with a visit from my parents. Wherever you are and whatever you plan to do, I hope your weekend is great! 1. 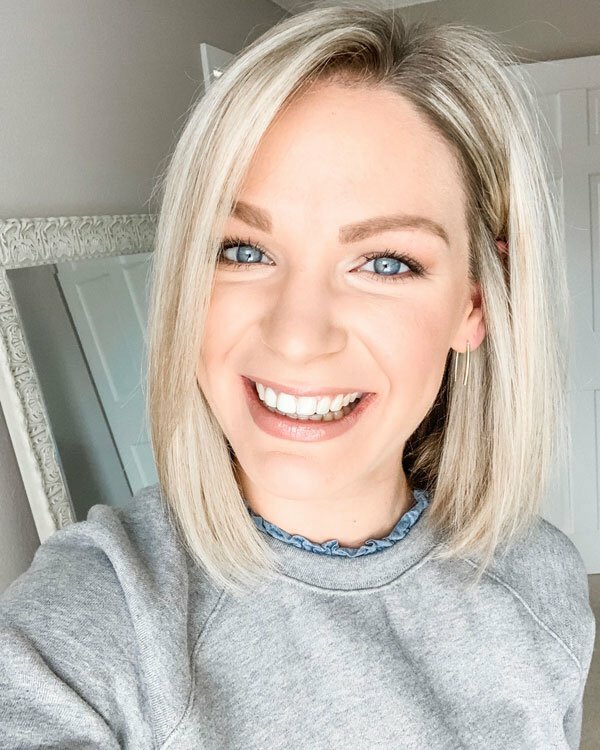 Last week, Kate from The Small Things Blog wrote about a new online class that her virtual assistant, Nicole Schumacher, is now offering to train to become a virtual assistant. After some research on her website and talking it over with Ryan, I decided to go for it! I am excited for this next step in my career and job search and to acquire a new skill set that can only help better my opportunities in the long run. 2. I rediscovered this old beauty favorite in my collection this week – the shade is Tea Rose. It gives the lips the perfect amount of pink and shine without being overly gooey and sticky. I may just have to pick up a few more of these glosses. 3. I made major strides in spring cleaning this week – I have multiple bags of items ready to donate and to try and sell at a consignment shop. The house also has been cleaned from top to bottom, and I also finally got around to finishing unpacking the office and organizing items in our desk. 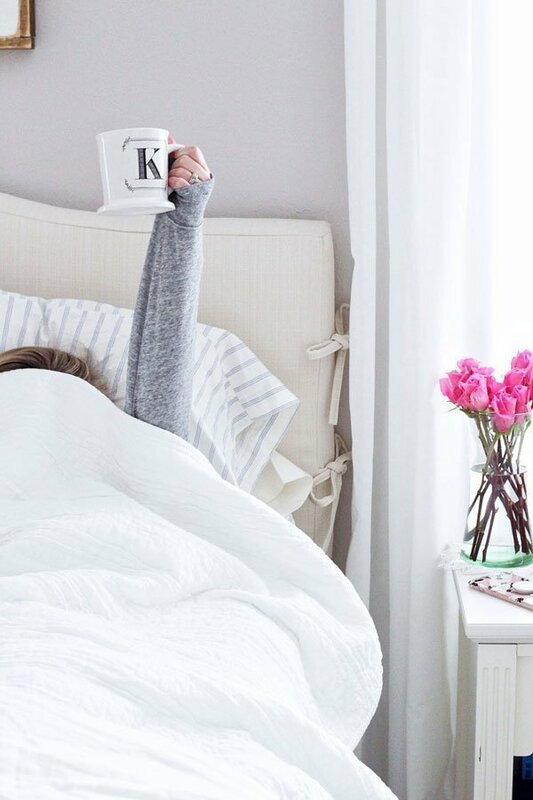 There is nothing I love more than a clean, decluttered and organized space! 4. My Love It, Buy It purchase from E! News finally arrived! 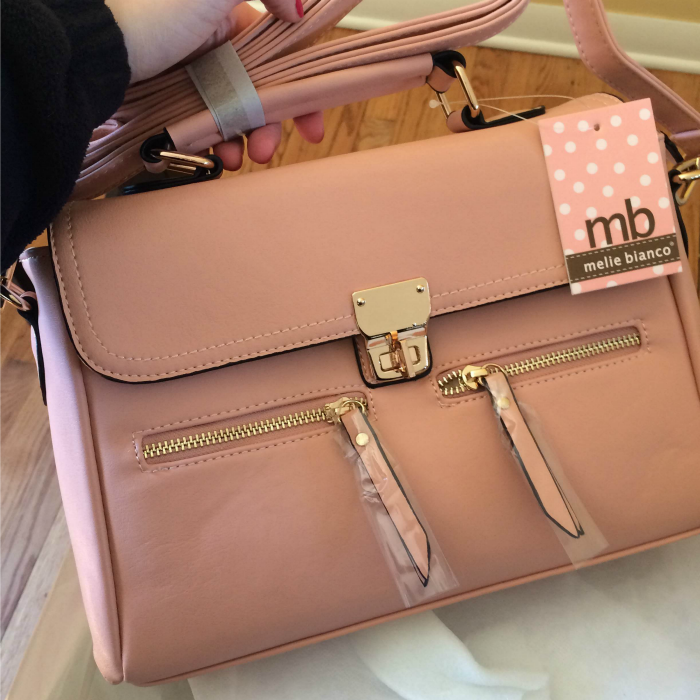 It’s a Melie Blanco purse in blush with rose gold hardware. The lining also is cream with brown polka dots. I have been swooning over her ever since I opened the box – this will be a great summer bag and will transition well into the fall. Not to mention it retails for around $100, and I only paid $30! 5. 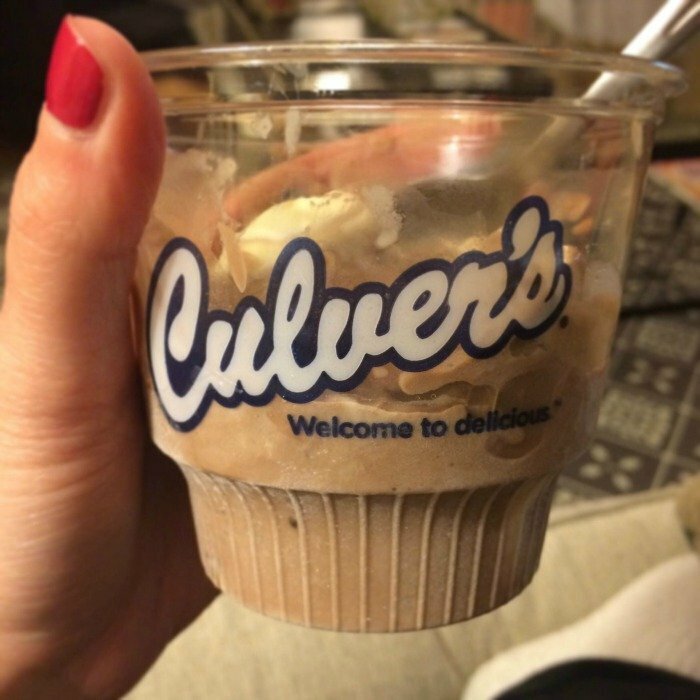 Culver’s custard flavor of the day Wednesday was Snickers Swirl – need I say more? Love the new bag!!! Such a pretty color!! 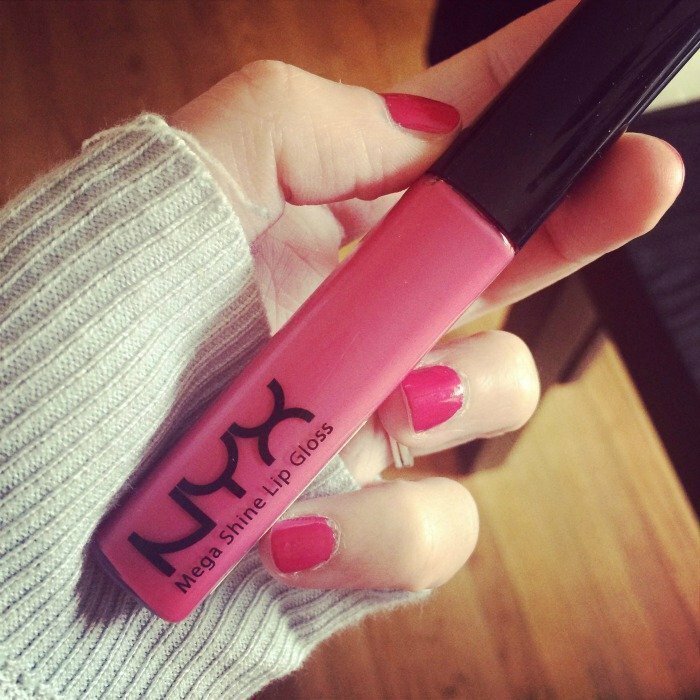 i have the same NYX gloss – i just love the color! Hope you have a great weekend and congrats on the new step in your career! Looking forward to seeing you later! Love that bag, love the price even more! That Snickers swirl looks mighty good about now!